WWDC 2016: Apple launches Swift Playgrounds app for iPad. 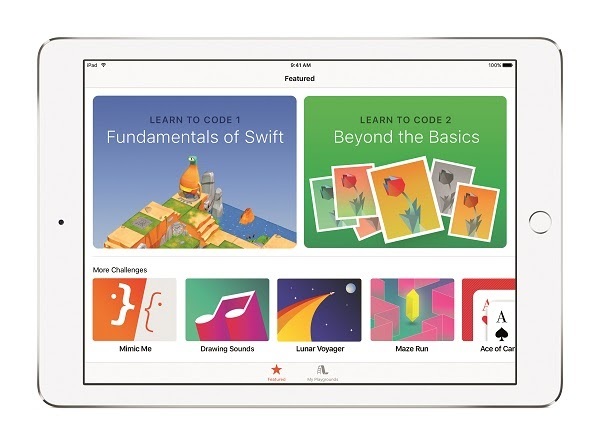 Apple today announced the launch of Swift Playgrounds, an innovative new app for iPad that makes learning to code fun and easy for anyone. A preview release of Swift Playgrounds is available today to Apple Developer Program members as part of the iOS 10 developer preview and will be available with the iOS 10 public beta in July. The final version of Swift Playgrounds will be available in the App Store for free this fall. Swift Playgrounds is compatible with all iPad Air and iPad Pro models and iPad mini 2 and later running iOS 10. Swift Playgrounds brings coding to life with an interactive interface that encourages students and beginners to explore working with Swift, the easy-to-learn programming language from Apple used by professional developers to create world-class apps. Swift Playgrounds includes Apple-developed programming lessons where students write code to guide onscreen characters through an immersive graphical world, solving puzzles and mastering challenges as they learn core coding concepts. The app also features built-in templates to encourage users to express their creativity and create real programs that can be shared with friends using Mail or Messages or even posted to the web. The Swift Playgrounds will be available in the App Store for free this fall.